This rich red-wine vinegar is perfectly complemented by the fruity flavors of ripe figs and pears, plus a sweet hint of smooth maple syrup. 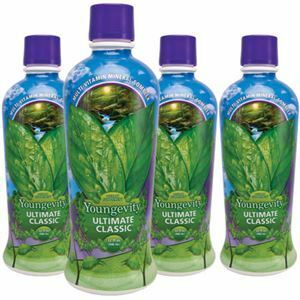 Full-flavored and less acidic, it’s heavier texture is ideal for making salad dressings and marinades. 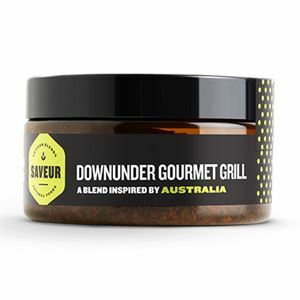 Visit Saveurrecipes.com for recipes featuring our delectable rubs, seasonings, mixes, balsamic vinegars. 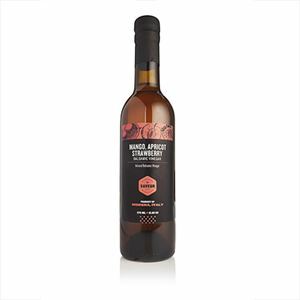 This rich red-wine vinegar is perfectly complemented by the fruity flavors of ripe figs and pears, plus a sweet hint of smooth maple syrup. Full-flavored and less acidic, it’s heavier texture is ideal for making salad dressings and marinades. You can also use for finishing fruit and cheese (try drizzling over brie cheese, dried fruit, and nuts), dressing up your favorite desserts, and infusing into cocktails for that deliciously crafted flavor. Who it’s for: Food lovers with a do-it-yourself approach to creating culinary delights. What it does: Enhances a wide range of condiments, deserts, and libations. 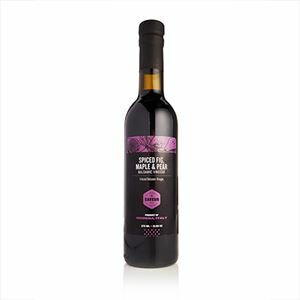 Ingredients: Cooked Grape must, red wine vinegar, fig puree, natural cinnamon flavor, natural maple flavor, natural pear flavor, naturally occurring sulfates. Storage Instructions: Store in a cool, dark place and protect from exposure to air, strong light, or extreme cold.